Co-workers have been asking me if my commute is longer thanks to moving to Manhattan and I say: "it takes about the same amount of time, but of course I can't walk home like I used to do." But apparently I can walk home. I did it today. It's almost three miles more than my commute from work to my apartment in Astoria but four and a half miles is perfectly do-able. It took me an hour and twenty-four minutes at a moderate pace. 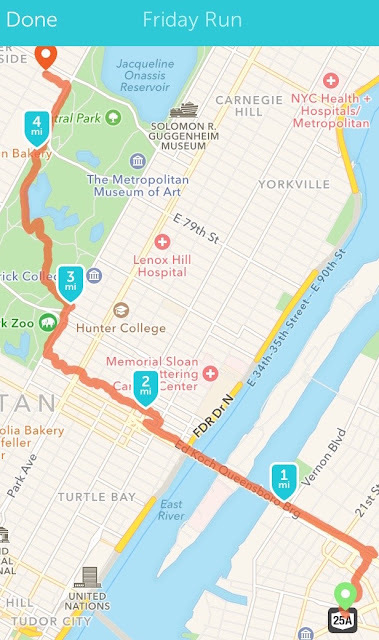 I went through Central Park of course, since it was a warm, partly sunny day. The Park was looking good with all the flowers popping up. Of course there were tourists all over the place but that's how it goes.